Three ice climbers who were reported missing have been found dead on Joffre Mountain near Pemberton, B.C. Whistler RCMP and search and rescue crews began a search at first light on Monday for the trio. UPDATE, Jan. 13: The BC Coroners Service has identified the deceased as Elena Cernicka, 35, of North Vancouver; Neil Charles Mackenzie, 31, and Stephanie Grothe, 30. Both were residing in Vancouver, although. Mackenzie was originally from Scotland and Grothe was originally from Germany. "Shortly after the search started three bodies were located approximately 300 meters below the main couloir at Joffre peak," said RCMP Sgt. Rob Knapton in a news release. The deceased are a man and woman, both in their mid-30s from the Lower Mainland, and a female international visitor in her late 20s, said police. Police believe that they were experienced in the backcountry. RCMP Staff Sgt. 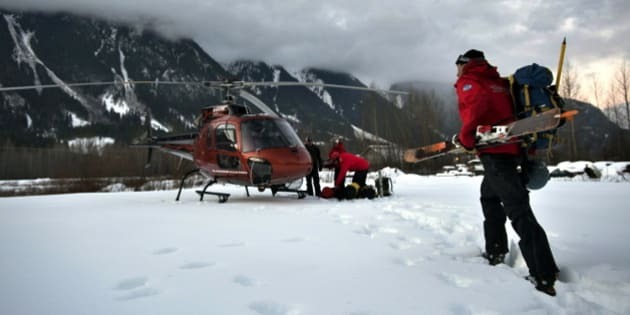 Steve LeClair said the trio — who were wearing crampons and roped together — were near the top of a steep, narrow gully when they fell about 600 metres to their deaths, reported CBC News. The three climbers were part of a larger group who planned to meet up at the end of their day Sunday. When the climbers didn't arrive as planned, some skiers went looking for them. RCMP were called at 1:30 a.m. Monday. Whistler RCMP are now conducting an investigation into the deaths in co-ordination with the BC Coroners Service.